If you’re familiar with the Discworld novels, you likely know exactly who this is: Archchancellor of the Unseen University, Mustrum Ridcully. I must admit, I am not familiar with the books, but if you’re like me, that doesn’t lessen my enjoyment. This bust, created by the exceptional builder Eero Okkonen is gorgeous. The lines and features of people are hard enough to capture in drawings or clay, let alone LEGO bricks. Take a guess how he built those scowling lips. Genius! We feature Eero’s incredible (and prolific) work often. Just take a look at his Slimefoot or an archer inspired by Lyndis from Fire Emblem. Holidays continue to creep into each other’s seasons if retail stores are any indication, but it is never too early for Granny Weatherwax and Nanny Ogg, brought to us by Eero Okkonen. 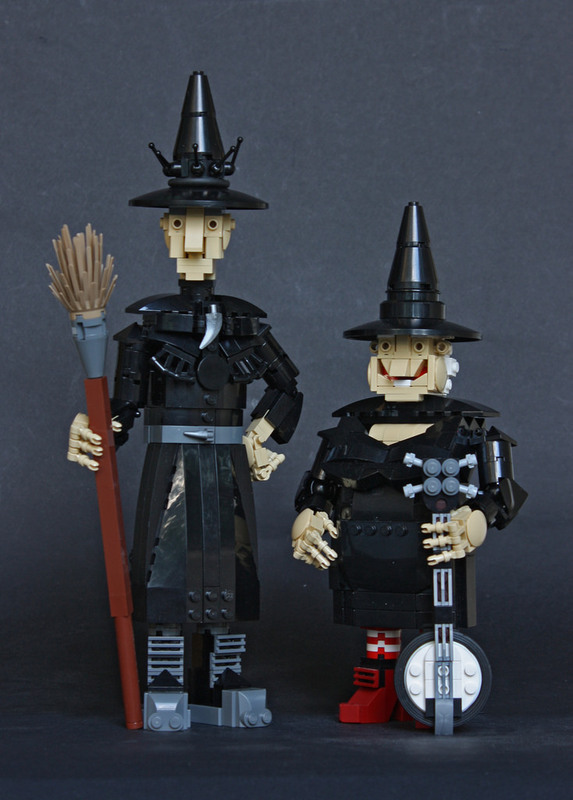 These two witchy looking characters are straight out of Terry Pratchett’s brilliant mind and are part of a large cast of characters that bring Discworld to life, which Eero has been working through. We’ve already featured a number of them, such as the denizens of the Unseen University, or Lu-Tze. I absolutely love the detail that goes into the witches’ faces; you can clearly see two distinct characters despite using a small selection of parts. The black dresses are both unique to each character and have plenty of detail. A meeting with the Supreme Life President of Hell sounds worse than a visit to the dentist for root canal treatment. 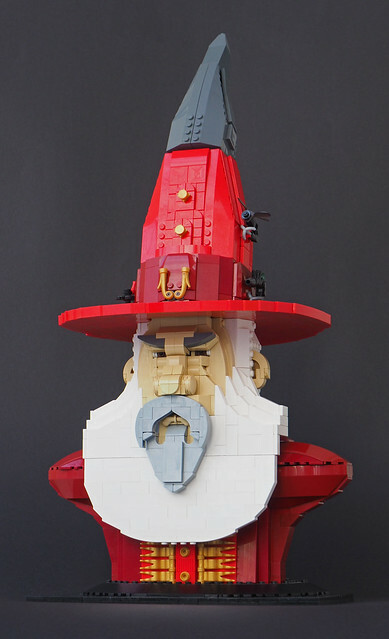 Thanks to zgrredek, Terry Pratchett’s Discworld character of Astfgl has been brought to life in LEGO, complete with a pile of paperwork to shuffle through. 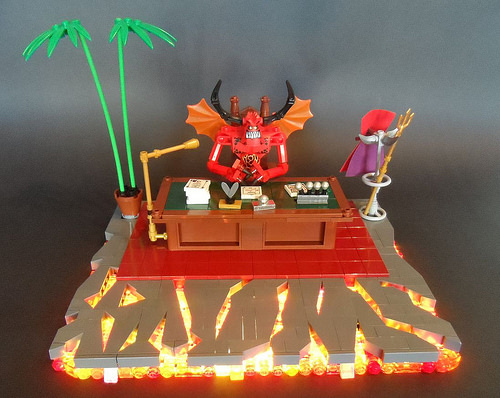 Discworld fans will know that Astfgl revolutionized Hell by moving away from physical torture and instead turned Hell into a mind-numbing bureaucracy. 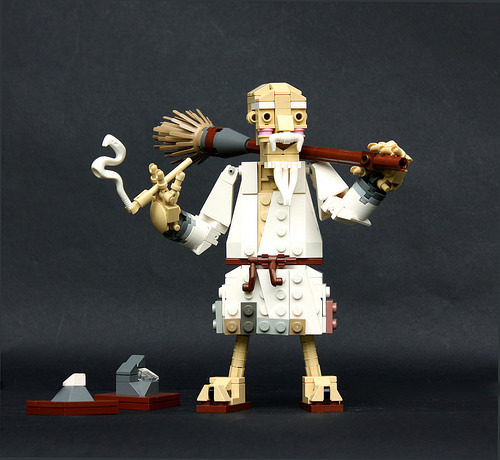 Eero Okkonen (Pate-Keetongu) continues his series of LEGO characters from Terry Pratchett’s Discworld. This time round we’ve got an awesome rendition of Lu-Tze the fighting monk. Check out all the fabulous details in this model — the moustache and beard, the knot on the belt, the use of a snake as cigarette smoke, and the split-toe sandals. This is character-building at its absolute finest. I don’t want to be captain – I can’t do the thinking! 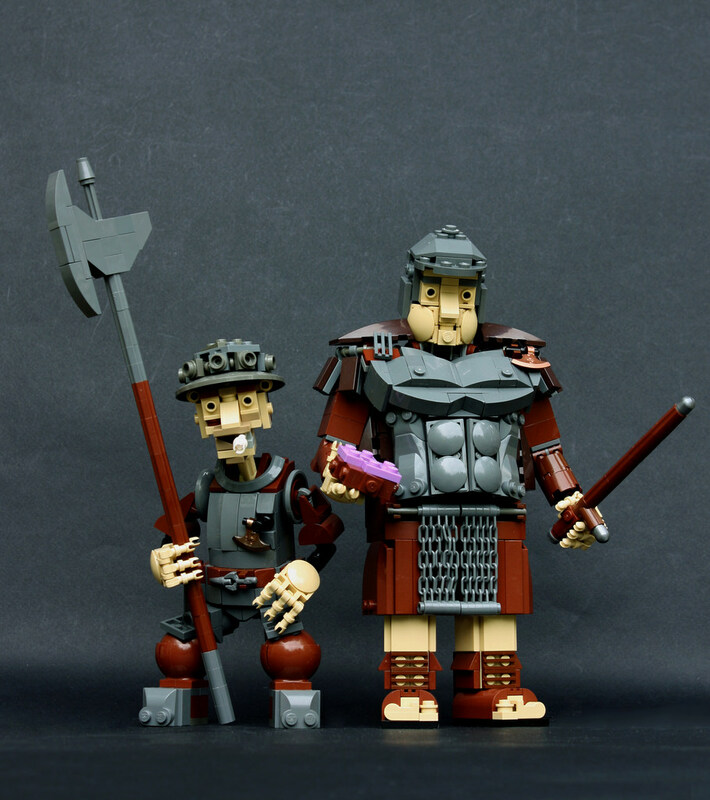 Finnish builder Eero Okkonen does it again with this latest addition to his collection of Discworld characters. With donut in hand, Sergeant Colon looks like the Roman equivalent of a modern American cop (famous for their infinite love for this kind of pastry). Chain mail armor and caligae boots are perfectly captured in such a small scale, and those chubby cheeks look fantastic! Corporal Nobbs on the other hand is instantly recognizable with his big nose and cigarette. Despite the smaller scale, Eero’s attention to detail results in another two magnificent micro-sculptures.